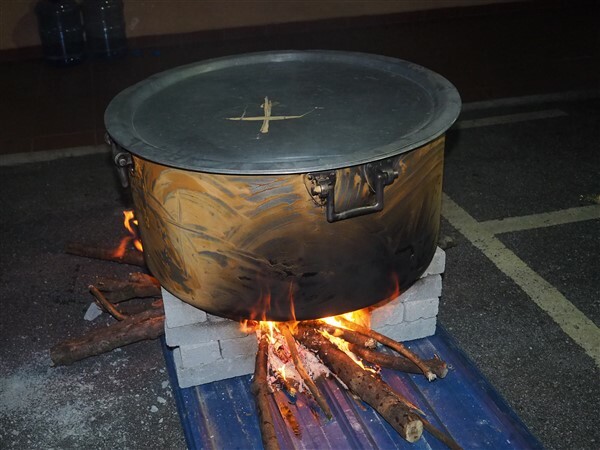 St. Joseph’s Church, Sentul celebrated Ponggal (the Tamil Harvest Festival) on Sunday, 20th January 2019 with Mass and other activities.. On Saturday night a team led by Josephine Mary started cooking the special “Ponggal Rice”. 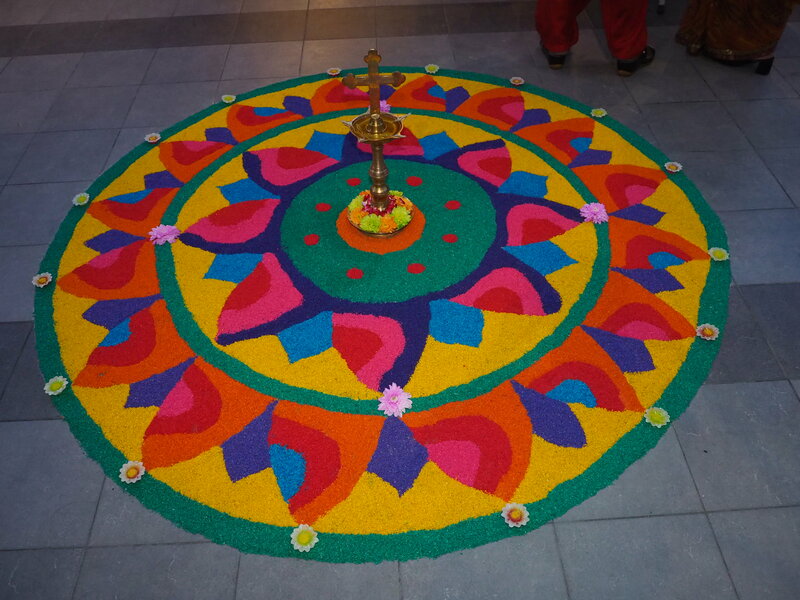 Meanwhile another team led by Monica Pakdinadan was busy drawing a “Kolam” at the Church entrance (Porch). The Sunday morning 7.00 am Ponggal Mass (Tamil) was celebrated by Rev Fr. 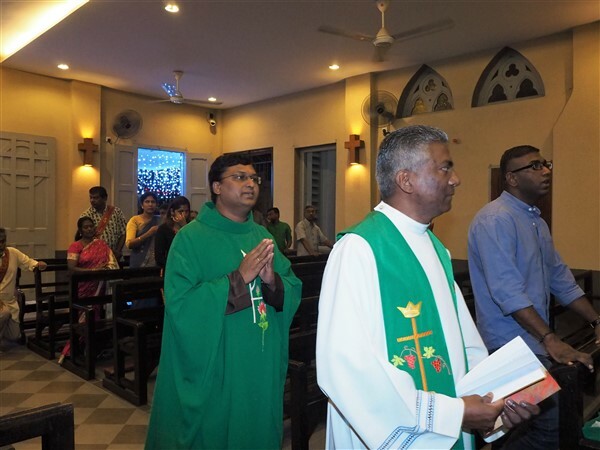 Sebastian from St. Francis of Assisi Church, Cheras and assisted by our Parish Priest Rev. Fr. George Packiasamy. After mass the special Ponggal rice was distributed to the parishioners. 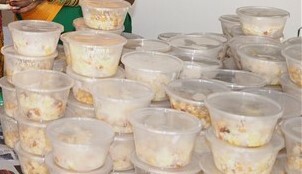 The Ponggal rice was also distributed after the 9.00 am English mass. The Ponggal games/competition started at 10.00 am in the courtyard. 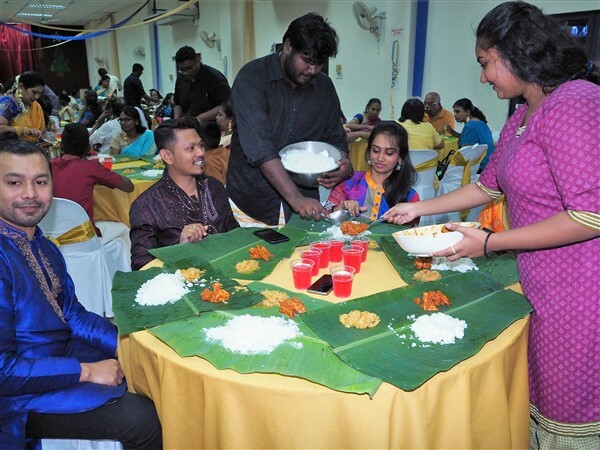 A vegetarian banana leaf lunch was served in the Community Hall from 11.30 am till 2.00 pm. There was also live entertainment during the lunch. The winners of the games/competition also received their prizes from the Parish Pastoral Council (PPC) Chairman Gabriel Mosses at this time. Lunch was served to about 540 people.